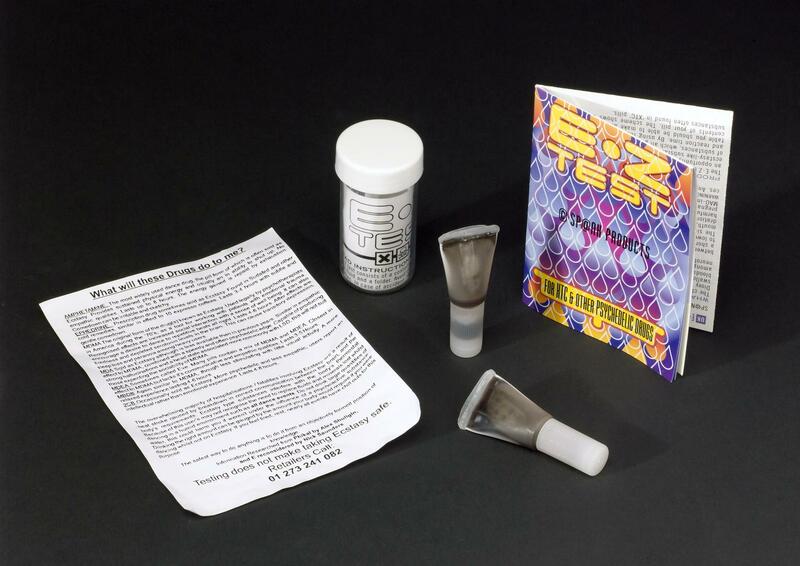 E-Z Test drug testing kit, for testing pills or capsules for the existence of ecstacy-like substances, consisting of test fluid (sulphuric acid, methanol and formaldehyde), test tube and colour chart to compare with the test, sold for £5 by mail order, in nightclubs and at music festivals. 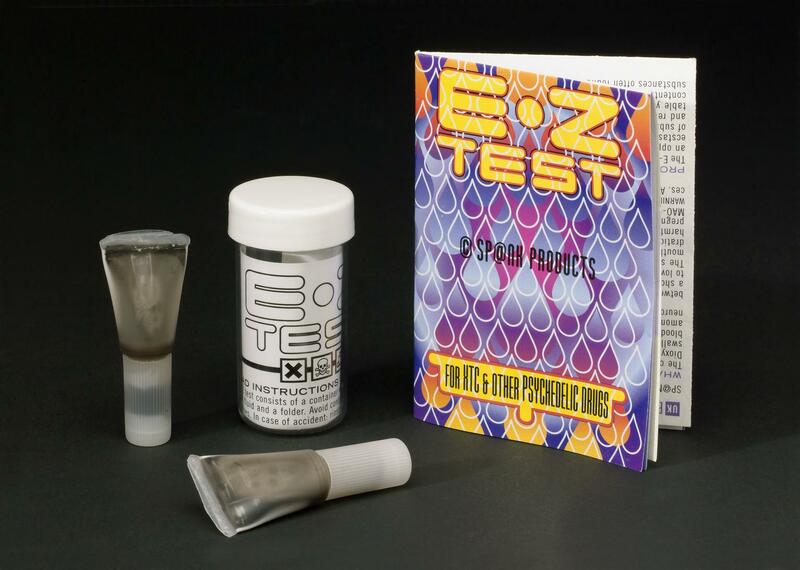 Available for £5 by mail order, in nightclubs or at music festivals, the ‘E-Z Test’ made by Sp@nk Products Amsterdam was used to test pills for MDMA or Ecstasy. 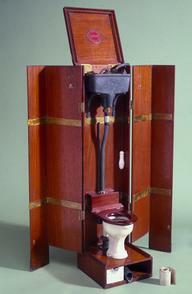 The pills were tested with the fluid (a combination of sulphuric acid, methanol and formaldehyde) and the colour produced compared with a chart. The selling of kits to drug users aroused controversy. 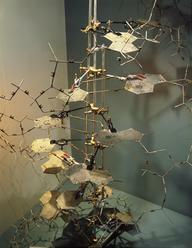 When taken, MDMA keeps the user awake for hours and can cause extreme rises in body temperature. There have been two hundred ecstasy-related deaths in the UK since 1996.